As the name sounds, the cake is so vain. Rephrase. Ruined!! No crisp crust. 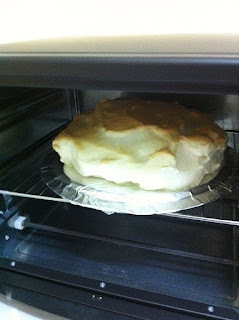 The meringue didn't cracked. I touched it and it bounce back. No hard crust like what the recipe saids. The whip cream didn't turns out foaming nicely. Ni baru letak for 10 minutes and it already shows it's not going to be Pavlova. Well, at least I get the soft sweet marshmallow. Hehe. Let me guess what went wrong. You see, the instruction says 1/2 Tspn cornstarch. TABLEspoon or TEAspoon? Haa..jawab.jawab. Jangan gune short form boleh tak? Ee..amarah betul. Ade beza tuh. 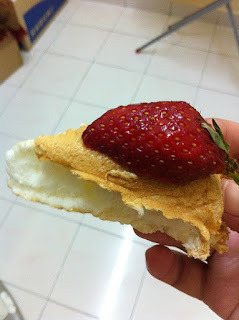 (To read back the menu, there's capital T and small t. Padan muke sbb tak notice the difference) So what I did was just toss the corn flour as much I feel like I wanted it to be. Number two is probably I didnt use white vinegar. Our home never use vinegar for cooking so far and luckily Angah bought apple vinegar for herself to drink (who drinks vinegar anyway?) but she said can be use for cooking as well. Makanya, amek aje ape yang ada dan gune. Number three is...erm....I bought thickened cream. To my defense, the picture at the box shows whip cream. How the hell am I suppose to know there's a difference? Garrrrr! 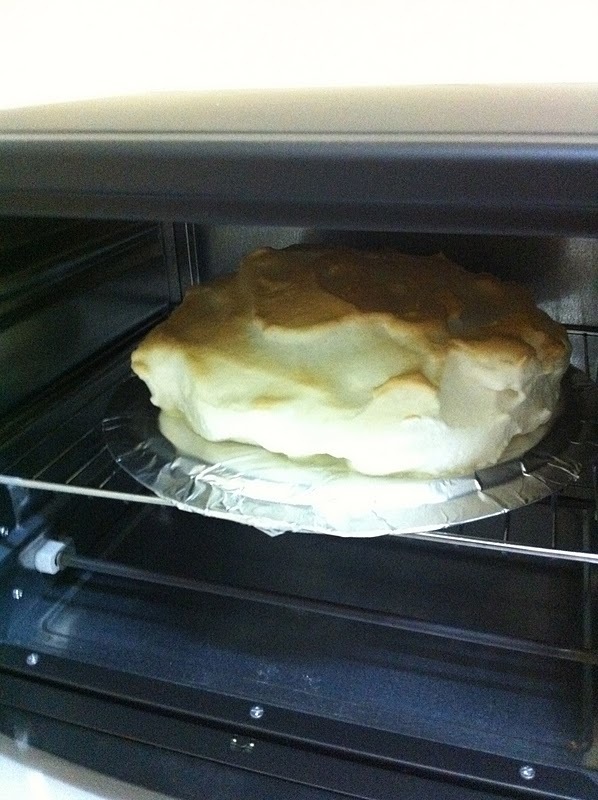 Fine, Pavlova! I will make sure I make it next time - sooner or later!